A functional all purpose acrylic paint. 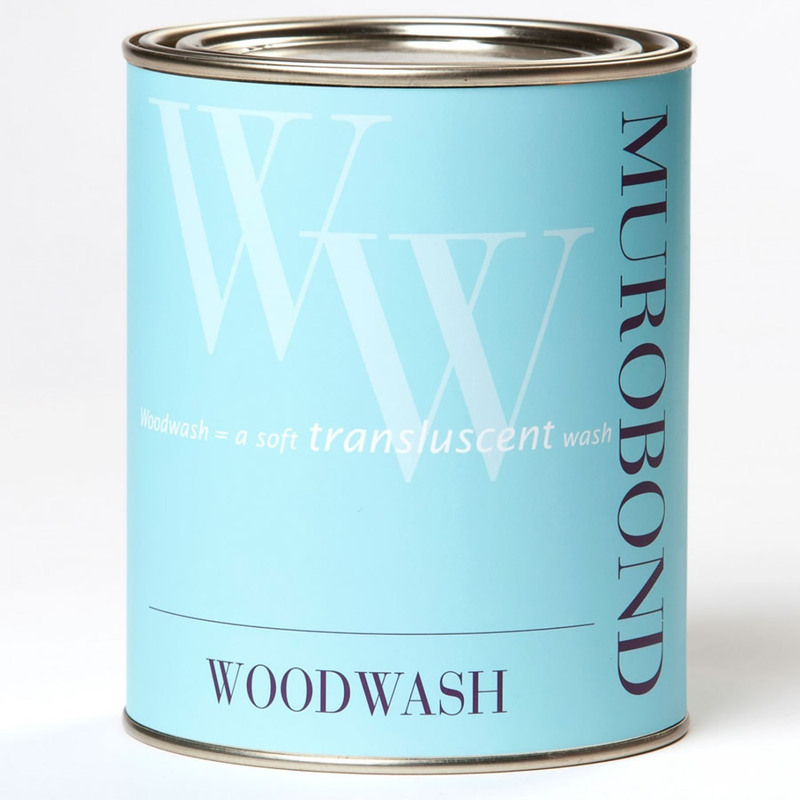 In high traffic areas, Murobond’s PURE Acrylic works wonders. This super tough, all purpose paint can be wiped clean without fuss. Low Sheen and Low Sheen + Grain both dry to a soft, eggshell finish. For a sheen free look there is PURE Flat, ideal for ceilings and walls. PURE Aqua Gloss and Satin offer an alternative for both broadwall and trim. A finish for almost every surface, inside and out. All surfaces must be inspected to ensure they are properly adhering, free of oils, grease, loose particles, dirt, mould, algae, moss, or other foreign matter. All loose and flaking material should be thoroughly scraped and sanded. Gloss areas must be sanded or etched to provide key. Nail holes, gap sealing and other filling should be done before application of Pure Acrylic. Surface should be dry. Some bright colours require a similarly coloured base to achieve opacity. Cement render, mortar and concrete should be allowed adequate time to cure before the application of any paint (in general more than 3 weeks). Apply one coat of Murobond Primer directly from the tin to dry clean surface by brush, roller or spray. Apply in an even thick coat ensuring complete coverage at a rate of approximately 10-12 sq.m per litre depending on surface. Allow 12 hours drying prior to the application of PURE. Thinning with up to 10% water in hot or windy conditions is acceptable. Tannin rich timbers such as western red cedar and most hardwoods require priming with an oil-based primer to prevent tannin staining. This must be completed more than 24 hours prior to application of PURE Acrylic. Rust should be treated with phosphoric acid, rinsed thoroughly and allowed to dry. Apply one coat of red oxide anti-corrosive primer directly from the tin by brush or roller. Allow overnight drying, then apply PURE Acrylic. Metal must not be exposed prior to painting as corrosion of this will cause staining and damage to the paint film. Surface imperfections should be filled prior to painting. 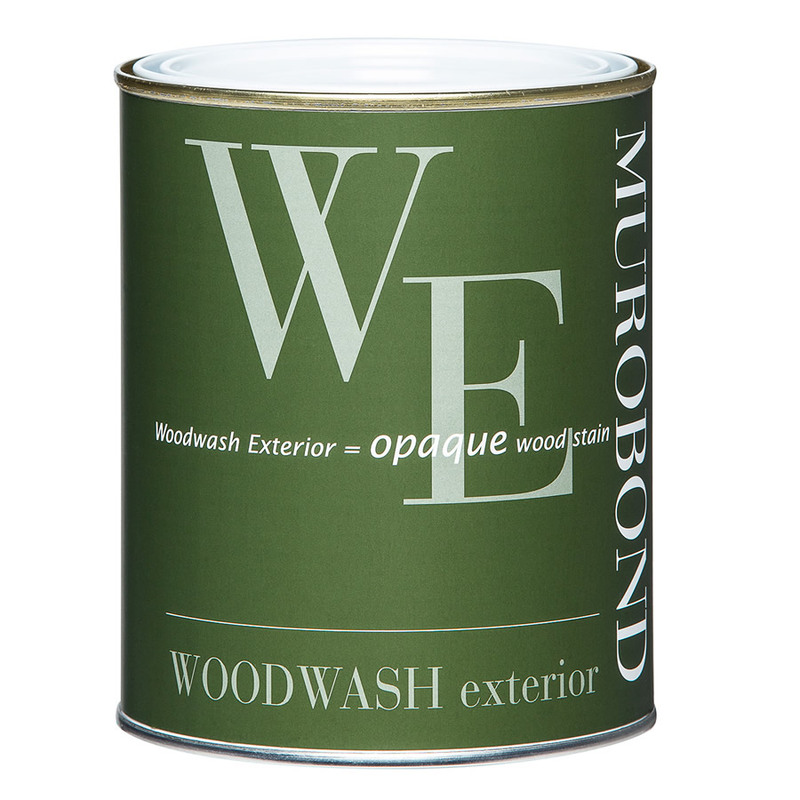 One coat of Murobond Primer is applied directly from the container by brush, roller or spray at an approximate coverage rate of 10 sq.m per litre. Allow 12 hours drying prior to application of PURE. Cleaning with an alkali cleaner such as “sugar soap” or “Tricleanium” is advised to remove oils and dirt. Light sanding with 400 grit (or finer) sandpaper is advised to key new galvanised metal. Apply one coat of water based zinc primer directly from the tin by brush or roller. Allow recommended drying prior to application of PURE. Apply directly from the tin to clean, dry surface. 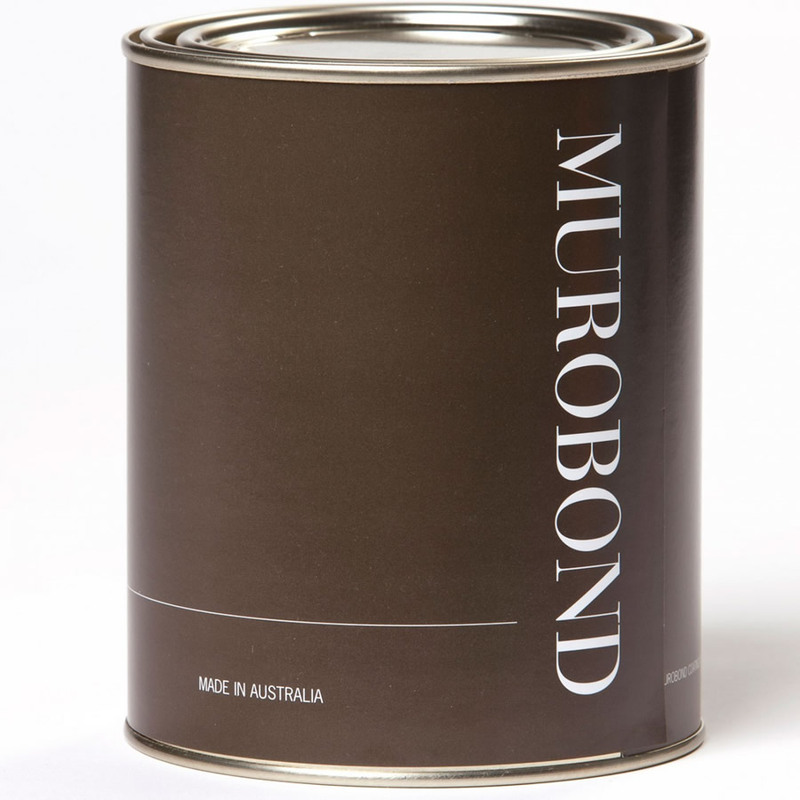 Murobond Primer (coloured towards the final Pure colour if necessary) should be stirred and applied by brush, roller or spray to clean dry surface. Application at a rate of approx 10-12 sq.m per litre. Allow minimum 12 hours drying prior to the application of PURE. One coat of Murobond Primer (coloured towards the final Pure colour if necessary) applied directly from the tin to dry clean surface by brush, roller or spray. Application in an even thick coat ensuring complete coverage at a rate of approximately 10-12 sq m per litre depending on surface. Allow 12 hours to dry before applying PURE. Thinning with up to 10% water in hot or windy conditions is acceptable. Any patching should be completed and cured before applying PURE. Apply two coats of PURE Acrylic directly from the tin to dry primed surface. Application by brush, roller* or spray*. Allow overnight drying between coats. Coverage is approximately 12 sq.m per litre per coat. Clean up with water. Thinning should be avoided. * For PURE + Grain brush application only is advised. Expansion/control joints should be sealed before painting and should be finished with a compound which will accept ordinary water based paints. Murobond Primer may then be applied directly over these joints. It is the responsibility of the contractor to ensure colour consistency. It is recommended that sufficient material to complete the project be ordered where possible to eliminate possible colour variation. Where this is not practicable, sufficient material to complete an elevation should be ordered with any excess used as the first coat on the subsequent elevation. 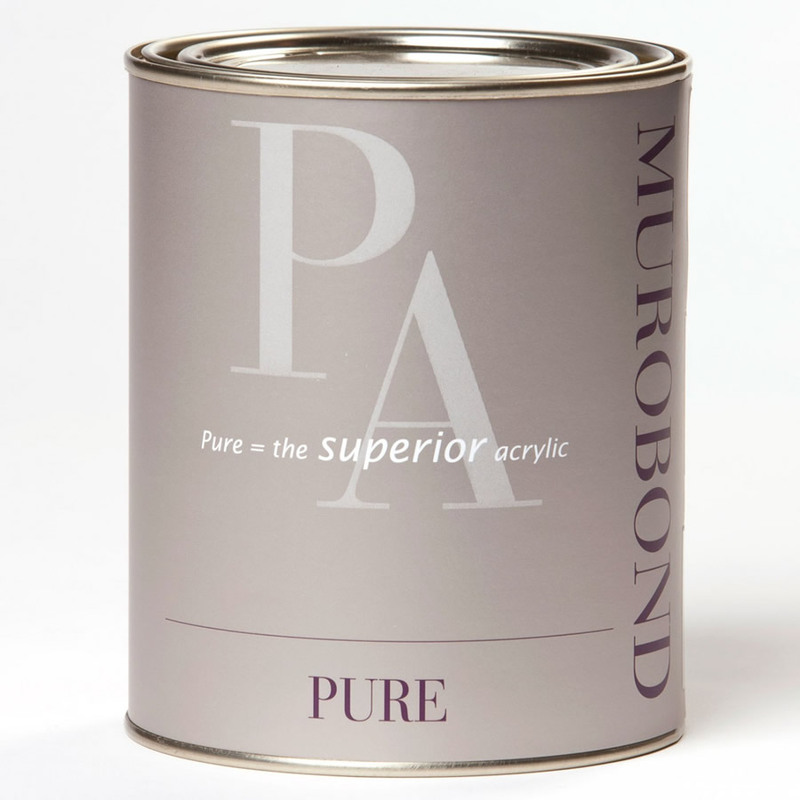 Pure Acrylic and Murobond Primer should not be applied where surface or air temperature is below 10°C or above 35°C. Adequate protection should be provided against rain and sub-zero temperatures for a period of not less than 24 hours after application. Protection against mechanical abrasion should be provided for at least 7 days after application. Colour Range: as per colour card, non standard colours made to order.